Defrosting the freezer is a task many of us are happy to put off as long as possible. But how often should you defrost your freezer? To maintain the efficiency of a manual-defrost freezer, it should be defrosted each time it develops a quarter-inch of ice build-up on the interior walls. Many people defrost their freezers once a year, but you may find that you need to do yours more or less often depending on your usage habits. To stretch the time between episodes of defrosting, try to minimize the time that you have the door open. Keeping a freezer inventory list on the door makes it easy to see what you have without having to dig around in the freezer. Turn the freezer off, and unplug it from the wall. Empty all the food from your freezer. Transfer it to coolers or another freezer while you're defrosting. If it's winter and the temperatures are below freezing, you could also temporarily store the food on an enclosed porch. Remove all drawers and ice cube trays. Stick them in the sink to thaw out and wash. Locate your freezer's drain plugs (both interior and exterior), and pull them out. If the exterior drain is threaded, attach a garden hose, and divert the water to a large bucket, a floor drain or the outdoors. If it isn't, set up a bunch of old towels on the floor to absorb the water as the ice melts. Leave the freezer door open, and allow it to defrost over the next several hours. Monitor the process, so you can add and remove towels as needed. Do not attempt to speed the process up by scraping the ice out—this could destroy your freezer. Then, plug your freezer back in, and set the thermostat to zero. When your freezer is back to temperature, refill it, and you're set until next time. Speed up the defrosting process by aiming a fan into the freezer. Set on high, it will help to push the cold air out of the freezer, so the ice melts faster. Check your freezer's manual before you start. With some models, you can also place a pan of hot water in the freezer to hurry the melting along. And you may find that a special scraper was included with your owner's manual. It's definitely worth a look. While you're at it, take a few minutes to clean your freezer's condenser coils and to inspect the door gasket. Have some things that have been in your freezer for a long time? Find out how long different foods keep in the freezer for help in determining what you should toss. Next time you need to replace your freezer, look for a model with a drain plug that accepts a garden hose. It'll save you from having to sop up water. If you hate defrosting your freezer, consider purchasing a frost-free freezer next time. It'll keep up with the task on its own. 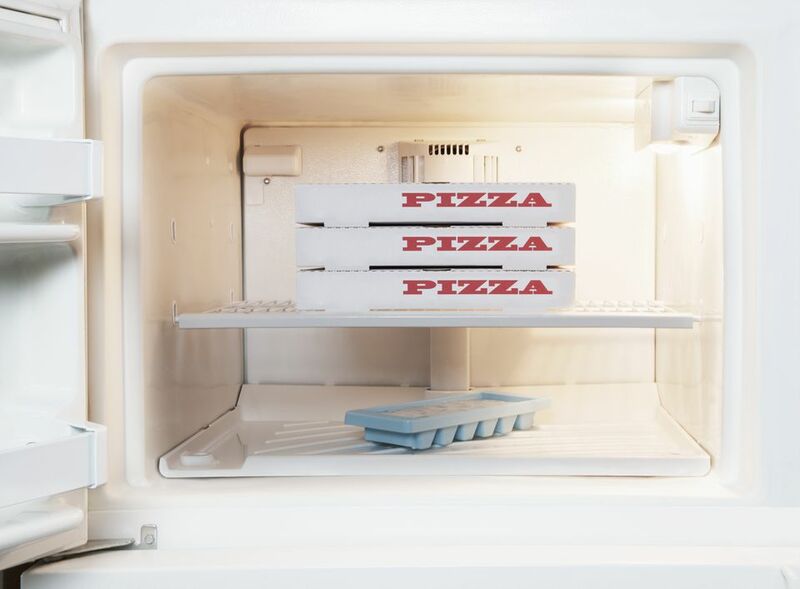 Defrosting your freezer boosts its efficiency and storage space, so set aside time to do it regularly. Late winter/early spring is often a good time take care of this task because there tends to be less food in the freezer after a winter of eating down last year's harvest goodies.